MSI has established a worldwide reputation for its experience in the design, manufacture and service of high purity precious, semi and non precious metal targets and coater components since 1981. Our planar and rotatable sputtering targets including evaporation materials are used in a multitude of thin film coating industrial applications in the aerospace, automotive, decorative, optical, electronic and photo-voltaic (PV) solar panel display industries. Another service that we offer to our customer is Thermal Spraying Process. MSI thermally sprays rotatable of various composition sputtering targets and also offers conventional spraying services for tribological coatings, corrosion coatings, mismatched parts, and salvage. 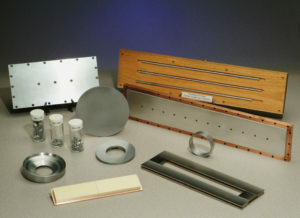 We manufacture your sputtering targets to meet your drawing specifications. 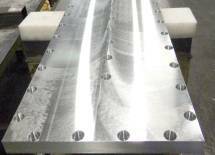 Our state-of-the-art machining facility produces your custom designed sputtering targets. Our Planar Targets are designed and manufactured carefully to avoid the introduction of raw material surface contaminants to the thin film coating process, machined to meet customer’s specifications. Our target products are available in segmented planar and/or monolithic planar styles. They may be casted, thermal sprayed or bonded. 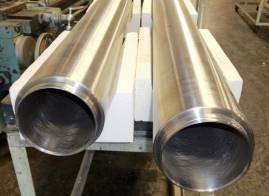 Our capability to manufacture those targets make us very competitive to other Sputtering Businesses in the world. We achieve superior material utilization and lot to lot stability. Our state-of-the-art internal process controls ensure the proper grain size with minimal alloy gradient, regardless of target sizes.